Today would have been Thomas Jonathan Jackson’s 191st birthday. In honor of the day, here’s a shot I took last spring on the parade ground of the Virginia Military Institute in Lexington, Virginia. 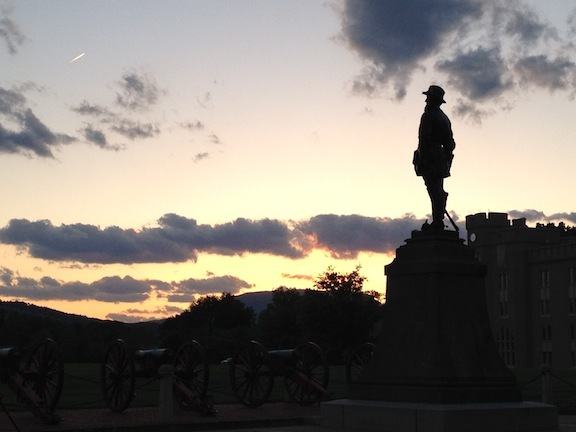 This entry was posted in Leadership--Confederate, Photography and tagged Lexington, Stonewall Jackson, VMI. Bookmark the permalink.